This an excellent book. It is good for anyone with a family wanting to improve their life and achieve their goals both personally and for their family. Gosh where can I start. I thoroughly enjoyed this book. 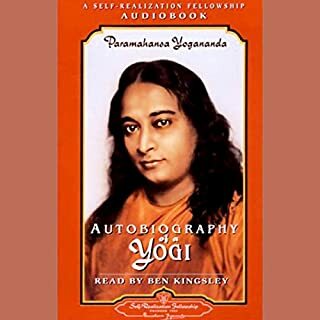 It has really opened my mind to the endless possibilities for me to improve my life through the most normal and natural process of all - breathing! When I first tried the 6 breaths per minute exercise I was surprised to feel the effects almost immediately. It is now a permanent part of my daily activity. The author explains things in a very clear and concise way. 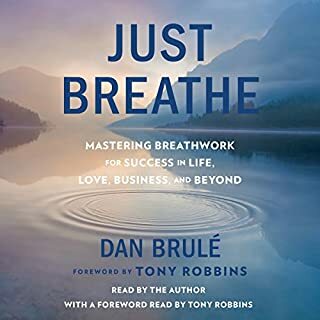 This is very good for someone like me who is new to breath work. But yet it works for all levels of breath work enthusiates. I like the fact that the breath work doesn't require anything other than your commitment. I am working on some of the other breathing techniques he discusses and I look forward to reaping the benefits of the exercises. Great story line kept me gripped through out. I liked the main 2 characters, they were brave and intuitive. 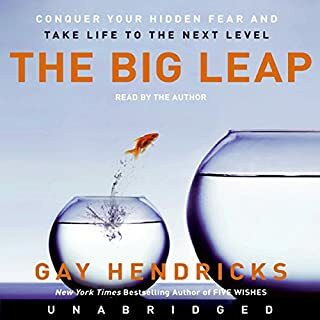 I found the author/narrator's passion and enthusiasm very inspiring. 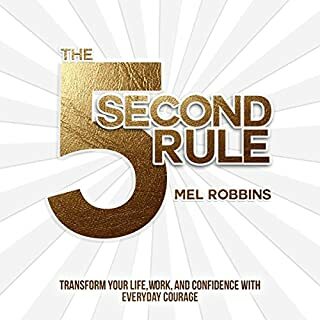 The 5 sec rule is something I will be implementing. I initally thought this book was a bit full on and so dipped in and out of it over a few months. But now having completed it I would give it 10 stars. 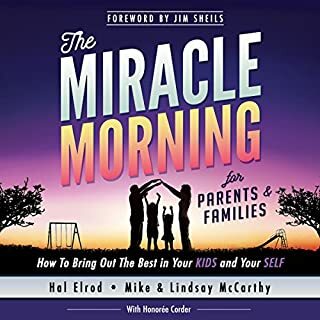 It gave me a better understanding of our spiritual connection God and makes several references to Jesus Christ. As a Christian it opened my mind to understanding some of the questions I had about my faith. I was a bit put of buying this book because of its brash title. I only bought it because it was recommend to me. However, I was pleasantly suprised at how much I enjoyed it. 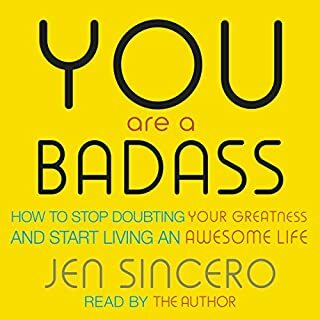 It gives good advice how to be the person you want to be. It is well worth listening to. I thoroughly enjoyed this book. 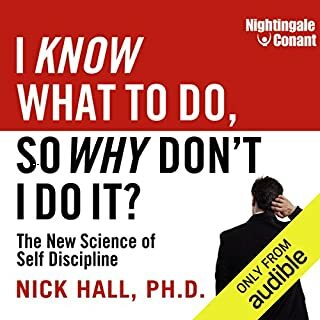 It explains very clearly and concisely the mechanisms (emotional and biological) involved in why we are unsuccessful or procrastinate or lack confidence. I, having studied biochemistry and pharmacy, was intrigued with his scientific explanations at a cellular level. It also offers ways to eliminate or reduce issues one mayhave with achiving one's goals. I will be implementing his strategies as they seem to be realistic approaches to solving my problems and achiving my personal goals. 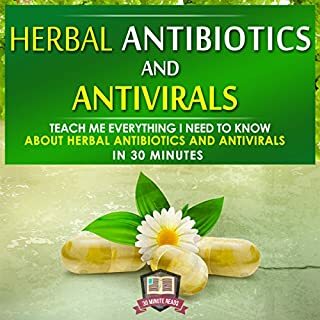 Many people are tired of modern medicine and the harmful side effects that they can bring, but herbal antibiotics and antivirals are easy to use when you are using them properly. However, there are risks and side effects with herbal antibiotics and antivirals as well. Still, they have many fewer side effects than modern medicine. This book was a total disappointment. For a start I hated the computerised monotone voice of the natrator. Then the content really was repetitive and inadequate, it only touched on less than 5 herbs in about chapter 8. Infact they were not true herbs. It is definitely refund material. I throughly enjoyed this book. It has been an eye opener into my approach to progressing in life, also on how to deal with the inbuilt issues one has with acheiving and maintaining success and happiness. 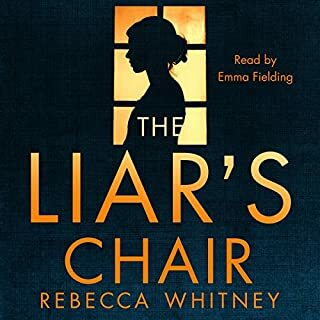 The Liar's Chair is Rebecca Whitney's stunning psychological thriller debut set in Brighton. Rachel Teller and her husband, David, appear happy, prosperous and fulfilled. The big house, the successful business... They have everything. However, control, not love, fuels their relationship, and David has no idea his wife indulges in drunken indiscretions. When Rachel kills a man in a hit-and-run, the meticulously maintained veneer over their life begins to crack. 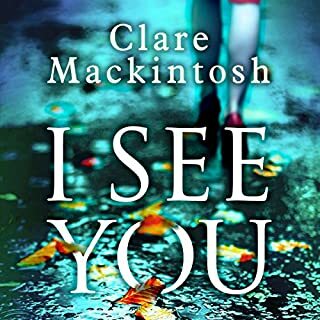 This book really had me gripped throughout. It is beautifully written. I would highly recommend it.